Today’s international selection is very exclusive and also an exceptional wine from one of the best vintages in recent years in Burgundy. Be sure to place your order early and if we sell out, we will have another exceptional Burgundy on deck through the remainder of the day. Subscribe to our Daily Dispatch (above) and you’ll always know what our Top Secret coupon code of the day is. Every day we issue a new members-only code that entitles you to have Ground Shipping included on orders of six or more and, sometimes, an added discount! Corton, in the Cote de Beaune region of Burgundy is located between the villages of Aloxe-Corton, Pernand-Vergelesses and Ladoix. 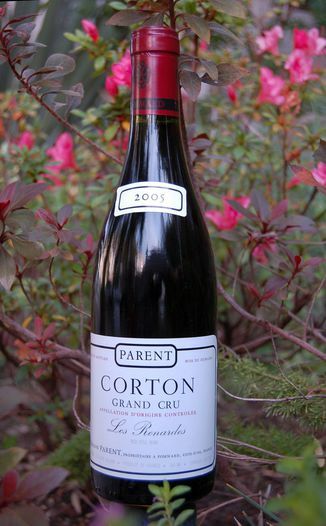 Corton has several specific vineyards or climats, each with its own distinct Terroir and character. Today’s selection is from the ‘Les Renardes’ climat near the Aloxe-Corton commune. Aloze-Corton derives its name from the Celtic word for high place. While most, 95%, of the wines in Corton are red (Pinot Noir), the region is also famous for Corton-Charlemange, among the most exceptional Chardonnay made in the world. Look – Deep and beautifully dark garnet with ruby red reflections through its deep but crystal clear core. The color remains dense and deep all the way tot he very edge of and when swirled, this wine shows its springy surface texture while leaving thin legs that start slowly and gain momentum as they descend to the wine below. Smell – Bold and expressive with bright aromas of wild blackberry and dark cherry. Complex notes of subtle oak, earthy truffle and mushroom and spice mingle with this wine’s minerality. Feel – This full-bodied dry wine has a muscular framework that is at the same time restrained, a quality that carries over into the taste category. Firm, powdered-textured tannins and a bright acidity kick and Terroir-driven minerality keeps things intense but also elegant. Taste – Exceptionally distinct but restrained Pinot Noir flavors of wild blackberry and cherry along with spicy pepper, mushroom, and funky earthiness. A chalky/pomus minerality that is both felt and tasted lingers over the palate with layers of subtle smoke, herbal notes and oak. Focused in its integration. Finish – Exceptionally long this wine’s tannin and mineral textural quality that clings to the palate, as notes of fruit and other flavors linger making the mouth water for another sip. Conclusion – The 2005 Domaine Parent ‘Les Renardes’ Corton Grand Cru is a delicious and exceptional example of one of the world’s finest wine-growing regions. It is almost a shame to have tasted and reviewed this wine now, as its true potential lies at least decade into the future. Redolent on the nose; bold and muscular, but not overbearing on the palate; elegant, pure but also austere in its flavors; and a finish that leaves you yearning for more. What else could you want? Allow this wine to open up and breathe for 30-60 minutes if enjoying it now, but if possible save a couple bottles for the future. You’ll love the evolution of this wine in the glass. Below is a recap of Agent White’s and Blush’s recent visit to Burgundy. We began the day early as we wanted to hit the Route des Grand Crus with lots of time to enjoy the food and especially the wine. Zipping through the back roads from our safe house in Bar Sur Aube(south end of the Champagne region) to Dijon at this hour was fast but just outside of Dijon, we started to hit the normal business day traffic. Thankfully, the GPS devise in my handheld spy communicator quickly re-routed us around and soon we were headed south through some of the finest vineyards in all of Burgundy. The N74, or Route de Dijon as its known officially but wine aficionados know this as the Route de Grand Crus. We slowed down and started taking it all in. The names of each commune and village familiar to anyone who has spent time in the French section of a good wine shop. The vineyards, this time of year, bare, with a slight fog resting in the lower valleys, and along the tops of the hills to the west. A slight drizzle fell creating an almost surreal experience as the fog and low clouds moved with the weather exposing and then rehiding these prized vineyards. After our lunch in Beaune, Agent Blush and I had the chance to explore some of the smaller communes that overlooked the valley and in particular, the historic Aloxe-Corton with is many Grand Cru vineyards. Aloxe-Corton is located just about 1.5 miles north of Beaune. The wines from here are truly representative of the finesse and elegance that Burgundy is known for. Quite simply, this is the life. While you may not have been able to join us on the Holiday in Beaune, today’s selection from Domaine Parent will at least give you a small bit of the flavor of the trip! The location of the Aloxe-Corton can be seen in this satellite photo. Intense, bright garnet-red color. Dense, complicated bouquet with aromas of blackberry and wild mushrooms; powerful, substantial and intellectual. Well balanced, harmonious and incredibly complex. Serve with game or grilled meats. Corton is an Appellation d’origine contrôlée (AOC) and Grand Cru vineyard for red and white wine in Côte de Beaune subregion of Burgundy. It is located on a hill shared between the three villages of Aloxe-Corton, Pernand-Vergelesses and Ladoix in the Côte de Beaune, Burgundy. The appellation covers the lower parts of the Corton hill and includes several subordinate vineyard names, or climats, within the AOC. Due to the size of the AOC and the variability of these climats, it is the rule rather than the exception that the name of the climat is indicated together with that of the Corton AOC, leading to designations such as Corton Clos du Roi and Corton Les Bressandes. Corton is somewhat unique in this aspect, since it is very seldom to indicate climat for other Grand Cru appellations in Côte d’Or. The AOC was created in 1937. In the middle of the 17th century, the first traces of Claude Parent, a wine grower, can be found in the Parish registers. In 1787, Etienne Parent established a professional and friendly relationship with Thomas Jefferson, the future President of the United States. He also became the precursor in the export of Burgundy wines across the Atlantic Ocean. Early in the 19th century, having left Volnay to set up house in Pommard, Claude-Jacques Parent founded the Parent Domaine. In 1947, Jacques Parent, then 19 years old, started working in the estate with his father, Maxime. He took over the management starting in 1953. It was due to his efforts that the estate assumed a dynamic and innovating trend. He was one of the first to distribute his whole wine production in bottles, by direct sales, both in France and abroad. Today, the wines produced by the Parent Domaine are sold throughout the world. This will to work as a family has enabled Jacques Parent, without hesitation, to transfer the estate to his two daughters: Anne and Catherine. The wines from the Parent Domaine are the result of the rigorous efforts made by the Parent Family: a constant search for a complete balance between elegance and strength. This unique expression is to be found in the wines selected after meeting Anne Parent in July 2004. They are Red wines from the Premier Cru appellation of Pommard and, also Ladoix plus a rare Corton Grand Cru white wine. 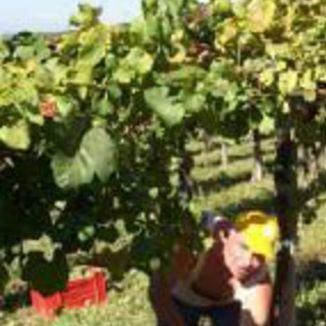 The vines are cultivated in a reasoned manner, with controlled yields with manual harvesting. The maturation is carried out in oak barrels, a third of it in the new barrels, is long: from 18 to 24 months. After bottling, there is a waiting time of a few months before dispatching the wines. The Parent Domaine mainly produces village appellation wines, Premier Cru Wines and Grand Cru Côtes de Beaune and Corton Grand Cru. The Bourgogne Pinot Noir and Chardonnay are new Regional Appellations wines for this family domaine to reach a broader market. The Bourgogne Pinot Noir is from 30-year old vines in clay/limestone soils. The harvesting done by hand leads to cold maceration for about 4 days and total fermentation on skins of 12-14 days. The wine matures for 12 months in oak barrels and is bottled at the estate. The wine has a fine, bright color, an eloquent, fruity bouquet with hints of cherry. Well-balanced and smooth, this wine is not pretentious, is pleasant and nice to drink while young — 3-5 years. Serve with pork meats, delicatessen meats, red meats and grilled poultry. The Bourgogne Chardonnay is also from vines averaging 30-years. Enjoy by the glass to relax, as an aperitif or as an accompaniment to grilled shrimp or prawns, oysters, cold water fish or with deli meats and goat cheese.